Toyota Motor Corporation (Toyota) has announced plans to grant royalty-free licenses on nearly 24,000 patents it holds (including some pending applications) for vehicle electrification-related technologies. The Japanese car maker also revealed that it will provide fee-based technical support to other manufacturers developing and selling electrified vehicles when they use Toyota’s motors, batteries, PCUs, control ECUs, and other vehicle electrification system technologies as part of their powertrain systems. By granting royalty-free patents and providing technical support on its vehicle electrification systems, Toyota intends to help further promote the widespread use of electrified vehicles, and in so doing, help governments, auto makers, and society at large accomplish climate change goals. “Based on the high volume of inquiries we receive about our vehicle electrification systems, we believe that now is the time for cooperation,” said Shigeki Terashi, member of the board and executive vice president of Toyota Motor Corporation. 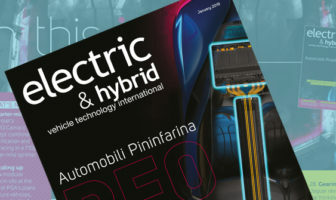 The royalty-free patents are advanced technologies found in electrified vehicles, particularly those used in hybrid electric vehicles (HEV) that have helped Toyota realize enhanced performance, reduced size, and cost reductions. More specifically, the patents included are for parts and systems, such as electric motors, power control units (PCUs), and system controls. These are core technologies that can be applied to the development of various types of electrified vehicles including HEVs, plug-in hybrid electric vehicles (PHEV), and fuel cell electric vehicles (FCEV). Together, Toyota will offer approximately 23,740 patents awarded over more than 20 years of electrified vehicle technology development. The grant period will start immediately and last until the end of 2030. Toyota has offered 5,680 patents related to its fuel cell electric vehicles (FCEV) since January 2015. The company is now adding approximately 2,590 patents related to electric motors, 2,020 patents related to PCUs, 7,550 patents related to system controls, 1,320 engine transaxle patents, 2,200 charger patents, and 2,380 fuel cell patents (bringing the total of fuel cell-related patents to 8,060). In terms of the fee-based technical support Toyota will offer, specifics include providing overviews of vehicle electrification systems, control guides, and detailed explanations of tuning guides for vehicles that will utilize the car maker’s systems. The guidance that Toyota will provide, for example, includes helping other auto makers to achieve high-level product performance in fuel efficiency, output, and quietness fit for the vehicles they are working to develop. The services will be contract-based. By offering both royalty-free patents and technical support for electrified vehicles, Toyota aims to encourage the development and market introduction of electrified vehicles around the world, something it has long considered a priority.